This article was first published on April 13, 2013. Women’s rights are increasingly heralded as a useful propaganda device to further imperial designs. Western heads of state, UN officials and military spokespersons will invariably praise the humanitarian dimension of the October 2001 US-NATO led invasion of Afghanistan, which allegedly was to fight religious fundamentalists, help little girls go to school, liberate women subjected to the yoke of the Taliban. The logic of such a humanitarian dimension of the Afghan war is questionable. Lest we forget, Al Qaeda and the Taliban were supported from the very outset of the Soviet-Afghan war by the US, as part of a CIA led covert operation. The US and her allies tried to legitimize their military occupation of Afghanistan under the banner of “bringing freedom and democracy for Afghan people”. But as we have experienced in the past three decades, in regard to the fate of our people, the US government first of all considers her own political and economic interests and has empowered and equipped the most traitorous, anti-democratic, misogynist and corrupt fundamentalist gangs in Afghanistan. The White House defends the religious content, saying that Islamic principles permeate Afghan culture and that the books “are fully in compliance with US law and policy.” Legal experts, however, question whether the books violate a constitutional ban on using tax dollars to promote religion. In the 1980s, Kabul was “a cosmopolitan city. Artists and hippies flocked to the capital. Women studied agriculture, engineering and business at the city’s university. Afghan women held government jobs.” There were female members of parliament, and women drove cars, and travelled and went on dates, without needing to ask a male guardian for permission. 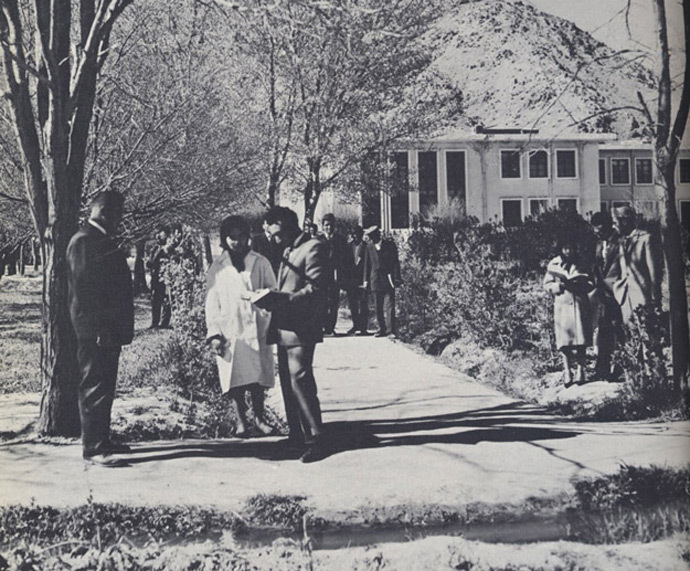 The physical campus of Kabul University, pictured here, does not look very different today. But the people do. In the 1950s and ’60s, students wore Western-style clothing; young men and women interacted relatively freely. 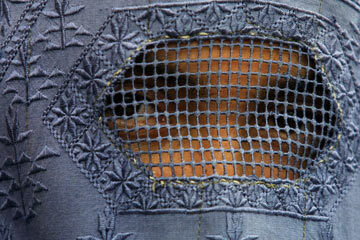 Today, women cover their heads and much of their bodies, even in Kabul. A half-century later, men and women inhabit much more separate worlds. In the 1950s and ’60s, women were able to pursue professional careers in fields such as medicine. Today, schools that educate women are a target for violence, even more so than five or six years ago. So, too, were record stores, bringing the rhythm and energy of the Western world to Kabul teenagers. Just as Columbia we think represents man’s finest aspirations in the field of science and technology, so too does the struggle of the Afghan people represent man’s highest aspirations for freedom. Yet, both the US and the governments of NATO members claim the US-NATO military presence in Afghanistan was instrumental in promoting women’s rights. The fact of the matter is that those rights were abolished by the US-backed Taliban regime which came to power with the support of Washington. How does the history of women in Afghanistan relate to women’s rights in Syria in the context of the current crisis? The undeclared US-NATO war on Syria (2011-2013) in support of Al Qaeda affiliated rebels appears to have a similar logic, namely the destruction of secular education and the demise of women’s rights. Will Syrian women be facing the same grim future as that of Afghan women under the Taliban regime? Last January, “a diverse group of Syrian women” said to be “representing the leading opposition movements” attended a conference hosted by the Women’s Democracy Network (WDN), in coordination with the U.S. Department of State’s Office of Global Women’s Issues in Doha, Qatar. WDN is an initiative of the International Republican Institute, well-known for supporting dissidents in various countries defying US imperialism. The US State Department is clearly using “women’s rights” as a tool, while at the same time it is funding an Islamist “opposition” with a view to undermining the secular state and eventually installing an Islamist government in Damascus. The first striking paradox of this conference is that it is being held in Qatar, a country where women’s rights remain limited, to say the least. In mid-March, the Qatar government even expressed concerns « about references to women’s sexual and reproductive rights » which are contained in the UN Declaration of the Commission on the Status of Women called Elimination and prevention of all forms of violence against women and girls. Were a US proxy regime to be installed in Damascus, the rights and liberties of Syrian women might well be following the same « freedom-threatening path » as that of Afghan women under the US-backed Taliban regime and continuing under the US-NATO occupation. Julie Lévesque is a journalist and researcher with the Centre for Research on Globalization (CRG), Montreal. She was among the first independent journalists to visit Haiti in the wake of the January 2010 earthquake. In 2011, she was on board « The Spirit of Rachel Corrie », the only humanitarian vessel which penetrated Gaza territorial waters before being shot at by the Israeli Navy.